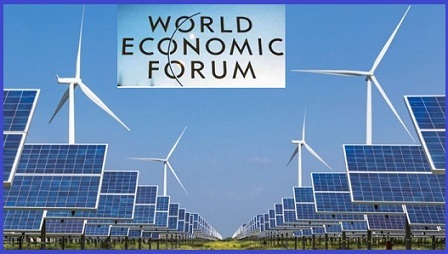 India has climbed two positions to be ranked 76th on the World Economic Forum’s global Energy Transition index. The World Economic Forum’s global Energy Transition index is an annual list released by the Geneva-based forum on 25tn March 2019. It ranks 115 world economies on their ability to balance energy security and access with environmental sustainability and affordability. The top three performers are Sweden, followed by Switzerland and Norway. In the second edition of the Energy Transition Index, India improved its rank by two points from last year (2018) higher than China (82nd). Despite the fact that India has high pollution levels and high CO2 intensity amongst these 115 countries, it has made a significant improvement in its energy access and regulations in recent years. In the BRICS bloc of emerging economies, After Brazil (rank 46th) India ranked second best. Among the major economies, UK ranked 7th, Singapore ranked 13th, Germany ranked 17th, Japan ranked 18th and the US ranked 27th in this index. India scored low in terms of system performance (ranking 97 and 86, respectively), but it ranks considerably higher in terms of readiness to adapt to future energy needs (45 and 61 respectively).